SACRAMENTO, Calif. /California Newswire/ — Moving to bolster governance, accountability, transparency and oversight at the California Public Utilities Commission (CPUC), Governor Edmund G. Brown Jr. today signed a package of bills and called on the Commission to take immediate action on additional reforms. 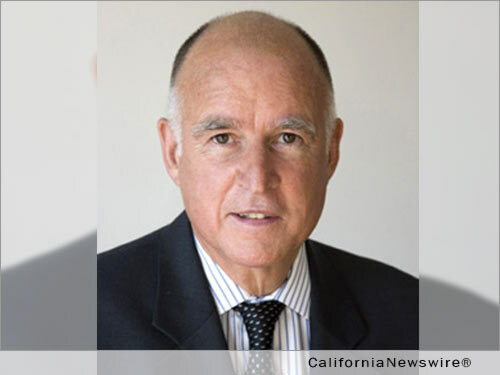 In June, Governor Brown joined Assemblymember Mike Gatto (D-Glendale) and Senators Jerry Hill (D-San Mateo) and Mark Leno (D-San Francisco) to announce a sweeping Commission reform package. The Legislature passed many of these reforms, but failed to act on other key legislation before the legislative session ended. •	Reform and expand rules regarding ex parte communications to require commissioners and interested persons to disclose and promptly post the content of ex parte communications online in ratesetting proceedings. •	Authorize the California Attorney General to bring an enforcement action in superior court against a decision-maker or employee of the Commission who violates the ex parte communication rules. •	Require transcripts to be made publicly available promptly. •	Create performance criteria for the Commission and Executive Director. •	Require documents distributed to service lists be docketed. •	Require Commission voting meetings to be held in various regions of the state. •	Make administrative records more open in quasi-legislative proceedings. •	Establish thresholds for the reasonable and timely resolution of proceedings. •	Establish the Office of Safety Advocate within the Commission. •	Increase oversight of excavation and improve enforcement of dig-in safety laws. •	Appoint an Ethics Ombudsman. •	Establish a web portal for the Public Advisor to receive public complaints and comments. •	Create a streamlined process for more quickly releasing information to the public. •	Improve coordination with other state agencies and departments. •	Increase the Commission’s presence outside of San Francisco. •	Work with the California Research Bureau to study the governance of telecommunications service. •	Transfer those duties and responsibilities of the Commission over transportation-related entities that will be better performed by departments within the California Transportation Agency. •	Codify the appointment of all senior executive staff who will serve at the pleasure of the Commission, including the Executive Director, the General Counsel, the Internal Auditor and the Chief Administrative Law Judge. •	Codify the appointment of a Deputy Executive Director for Safety and Chief Internal Auditor at the Commission. The administration will continue to work with the Legislature on additional reform measures included in the original reform package that require legislative approval, including subjecting the CPUC to the judicial review provisions of the California Public Records Act and revisions to improve the CPUC public records and confidentiality statute (§ 583) to retain confidentiality with a more timely release of public information. •	AB 2168 by Assemblymember Das G. Williams (D-Santa Barbara) – Public Utilities Commission Audit Compliance Act of 2016. A signing message can be found here. •	SB 62 by Senator Jerry Hill (D-San Mateo) – Public Utilities Commission: Office of the Safety Advocate. A signing message can be found here. •	SB 215 by Senator Mark Leno (D-San Francisco) – Public Utilities Commission. A signing message can be found here. •	SB 512 by Senator Jerry Hill (D-San Mateo) – Public Utilities Commission. A signing message can be found here. •	SB 661 by Senator Jerry Hill (D-San Mateo) – Protection of subsurface installations. A signing message can be found here.